Some of my kids have always known what they want to do when they grow up and some of them don't have any idea. I think it is a good thing to explore many options before choosing a career. My oldest son has gone back to school to become an aeronautical engineer. 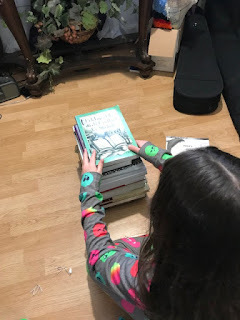 He will call and talk to us about a lot of things and I wanted my younger girls to understand a little more about engineering so we have been using Thinking Like An Engineer from Innovators Tribe. Innovators Tribe offers Thinking Like An Engineer, Thinking Like An Architect, and Thinking Like A Carpenter will be coming soon. Both courses have around 30 hours of work and can be considered a 1/4 credit for high school. Thinking Like An Engineer is an online course that offers video segments for the lessons. There are hands-on activities, design challenges, downloadable exercise journals, and design software. It is divided into 6 Units and an additional Unit on Thinking Like An Innovator. It comes with a download of the 123D Design software that allows you to create 3D designs using realistic materials. All three of my girls (ages 12, 15, & 16) and I have been using Thinking Like An Engineer. Unit 1 is an introductory unit that explains what engineering is and lists different types of engineer careers. There are a couple of activities to help you get to thinking like an engineer would. 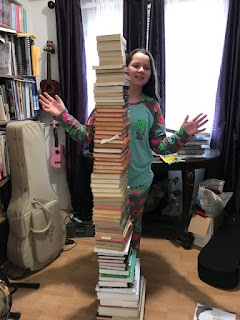 These activities use just paper and tape to build a tower and a base to hold as many books as you can. There is also an activity for building a water filtration system. Unit 2 is where we started getting into the 123D Design software. The challenge for this unit is to design a piece of furniture using the software. 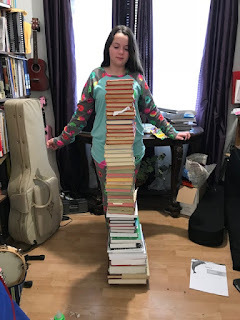 This activity we were to use one piece of paper and two feet of masking tape to build a base one inch off the ground to hold as many books as we possibly could. When we first heard this my girls thought it would be silly and wouldn't hold very many. After working together they figured out a way to hold more books than they thought possible. Although we might have been at an advantage because I have decorated wedding cake their whole lives and have stacked them pretty high. They cut their paper in 1" strips to match the width of the tape. Then they rolled the pieces small enough so they could wrap them all with the 2' of tape they were allowed to use. Alaina wasn't sure they could get any more stacked so she wanted a picture before they fell. She is 4'11" so she wanted to try to go higher than she is tall. And they made it. 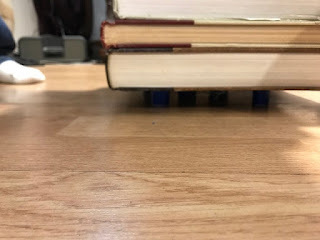 The paper pieces were still holding the books up off the floor, but their tower was starting to sway. So they figured the paper could have held more books if they had some sort of center support. My oldest son would have loved this course and if he wasn't so far away he probably would have watched it with his sisters. My girls may not want to be an engineer, but this course is showing them how to think like one and see things around them a little differently. Members of the Homeschool Review Crew received Thinking Like An Engineer and Thinking Like An Architect to review. My daughter that wants to be a real estate agent really wants to check out Thinking Like An Architect so I'll be reading some of those reviews to see if we want to use that course next.